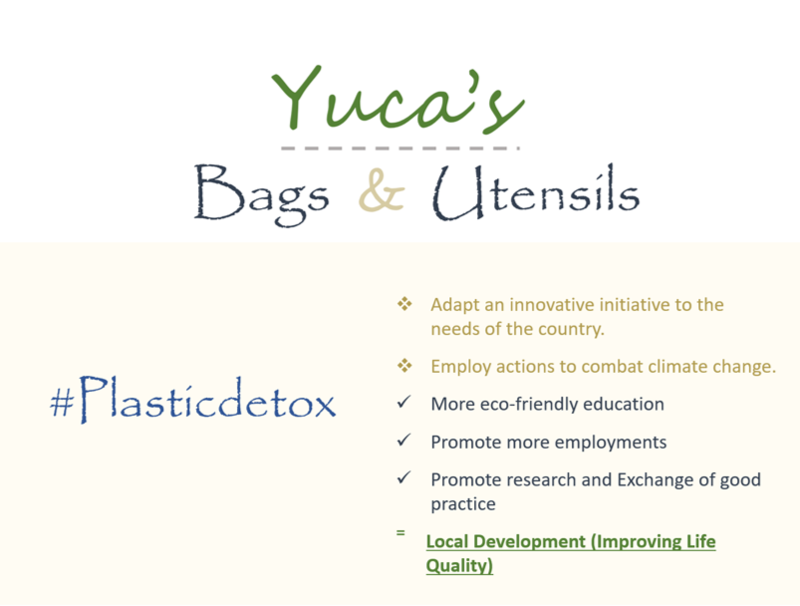 The Yucas Bags & Utensils project, will be carried out a pilot project that promotes the development of productive chains in the country, with the integration of producers, small and medium-sized national entrepreneurs mainly of Yuca, and then their production of bags , forks, knives, glasses, among other utensils, of biodegradable plastics, thus promoting economic and local development, and, therefore, improve the quality of life of our population. These bags and utensils will be made with a creative image, promoting the use of #plasticdetox, as an education campaign in the population about the importance of adding green initiatives. 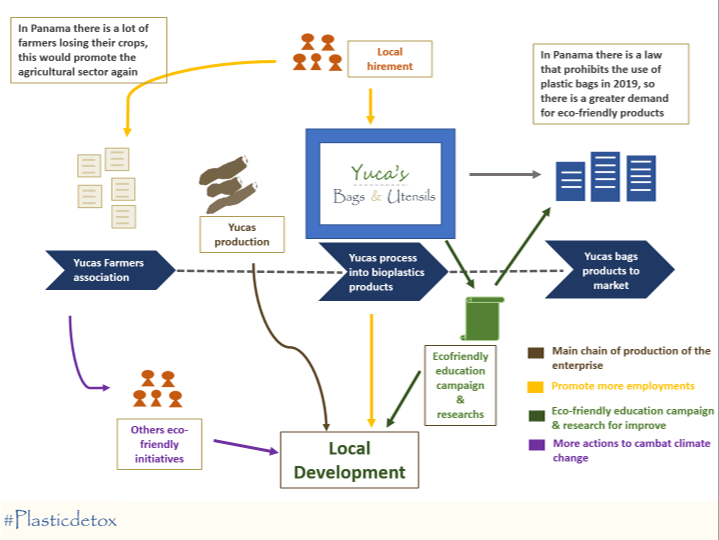 East is an project that has advanced with the legal aspects in my country, departing from an idea already used in other countries, adapting it to the socioeconomic realities of Panama, which nowadays faces some difficulties with the national farmers, especially in the rural areas of the country. The vision first is to implement a strategy of local development, by means of this model of company, with the aim to increase the sources of employment of a sustainable way in a community, across the productive association of the settlers inside the chain of value of Yuccas Bags and Utensils. The second strategy is to demonstrate the success reached in the project to answer in other communities, specifying that though there exists an included highly competitive market, where the entrepreneurs, small and medium businessmen have opportunities limited before industrial producers, these in the main are highly pollutant for the planet, which does that every green product has a better value and I affect educated consumers, for what the association and appropriation of measures is necessary to level of communities that allow to offer better solutions with the environment and that in turn promote major rates of employment and local growth. The third strategy is to combine the project with an educational very creative national campaign that distinguishes to the brand of the project, down #plasticdetox, in order to offer on the one hand the promotion of the products and on the other hand education in the population on the importance of recycling, re-using, but especially of not contaminating. Of the success of this project, it is waited add more and more green initiatives. Panama approved a law that prohibits the use of plastic bags in all shopping centers, thus promoting ecological initiatives, Yucas Bags and Utensils, looking for an ecological project that also promotes local development, which aims to meet a demand a level commercial of the product of bags through the bioplastic but in addition to encouraging a reuse and recycling, this long-term project aims to establish a brand that offers products such as bags of reusable products, and the commercialization of the cassava crop for different commercial aspects. Hi! I'm 30 years old, I live in Panamá, I have a little daughter, I am an entrepreneur and I want to become a great entrepreneur who achieved positive impacts in my country and in the world. Also, I am a person who believes that an educational consumer has a positive impact on society, everyone knows that markets move mainly because of the demand of their consumers, and they want that demand to be environmentally friendly. Very brilliant and innovative ideas. 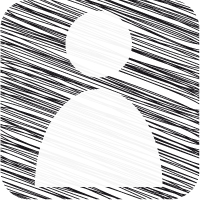 I think you have been more detailed in your profile, this will enable readers to have in dept knowledge of whom you are, your impacts in your country and professional accomplishments. Happy to meet you all through this competition!!! and i have learnt many things by going through your idea. This is an amazing project, which I think can make big changes in sustainable development topics. In addition, I consider important to highlight Yolieth dedication towar these topic. She possses a great experience in the field, which makes her a great candidate to be selected to reperesent the region. In short, I consider her a extraordinary candidate to be selected for her expertise and dedication. If you give her a try, you wont get dissapointed. Biodegradable plastic is very useful for environment and soil also because it can be decomposed by the action of living organisms. You also want to promote agriculture sector which is very good thing. This is a very good initiative to avoid the use of plastic. Todo acción a favor del ambiente y pensando para las futuras generaciones merece el respaldo total de la empresa privada, ONGs y los Gobiernos del Mundo. La Casa Común como dice el papa Francisco en la Encíclica Laudato Si, hace un llamado a todos los cristianos del mundo y a los no creyente para respaldar todo movimiento, idea y proyecto en ese sentido. Cada día que pasa el planeta gime desde sus entrañas y a pesar de que veamos que es poco lo que se hace. Un granito de arena contribuye de manera significativa en la ecuación y dar los pasos para poco a poco revertir el daño que le hacemos al ambiente y a los demás seres vivo que habitan la tierra. Considero que es un gran proyecto para ayudar al medioambiente. Es un orgullo que sea una idea cien por ciento panameña para el mundo. En un momento en que la humanidad afronta grandes desafiós ante el Cambio Climático. Es muy innovador y creativo esta idea y desde ya...le doy toso mi apoyo. Awesome initiative! Congratulations not only for your project, but also for being able to push a project and at the same time being a mom of a little one. You go #mompreneur ! Hola muy interesante este proyecto para Panamá ya que estamos iniciando con la cultura de reciclaje en los niños, en espera de proyectos como estos que nos ayuden a mejorar. I congratulate you for launching this project and thinking about our ecosystem. Please support this wonderful eco-friendly project, much needed in our country. You have my vote! I am very happy that you decided to participate with this idea, be an entrepreneur and promotes this kind of projects in our country Panama. Good Job comrade! Your project is great , However, let us partner in order to undertake further our ideas . You can also check on mine through this link, vote , comment and support it through your networks . An excellent project to promote local economic development and improve the quality of life through the business unit you set up. Very inspiring and good luck.